Benetton Inferno Paradiso Blue is a fresh citrus scent for men by Benetton. 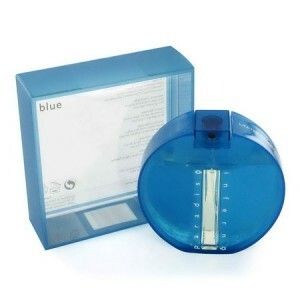 Benetton Inferno Paradiso Blue 100ml. eau de toilette is a fresh citrus scent for men by Benetton. Composed of a blend of lemon, orange and ginger accented by notes of bergamot, apple blossom, jasmine, cinnamon, nutmeg and white musk from top to base, Paradiso Inferno Blue is refreshing and alluring. It is a modern, youthful scent for any intelligent, self-confident and elegant man. The fragrance was inspired by a playful fashion brand Benetton, which prides itself on unique and timeless pieces spread throughout the world. Give in manly scent Inferno Paradiso Blue Man and experience a ride full of freshness, unrepeatable moments and satisfaction. Perfume conceals secrets in the form of an elixir of youth that you can wear throughout the day and even the night with him surely fascinate. Right at the beginning it envelops fresh scent of bergamot with heady lavender combined with the vibrant heart of the perfume, which is hidden alluring ginger green pepper. Romantic and sunny mood to smell brings a whiff of blooming gardenia. Perfume is completed with traditional warm chords of sandalwood, vetiver and musk, which are scented with incense. Perfume Paradiso Inferno Blue Man evokes the feeling pools of freedom, eternal youth and fun. Succumb to both you and you will not regret it!